Xi's trip to Italy, the first leg on a six-day European tour, coincided with Brussels' decision to take a more hard-line stance against the Chinese. During a review of its China policy last week, the European Union proposed "10 actions" to member states, including requiring "reciprocity" for market access, and highlighting purported national security risks stemming from Chinese investment in "critical assets, technologies and infrastructure." Jean-Claude Juncker, the head of the European Commission and Brussels' unelected bureaucrat-in-chief, described China as a "competitor, a partner, a rival," during remarks on Friday. In what appears to be a bid to assuage the growing trepidation in Brussels over China's strengthening ties with Italy, and several eastern and central European states, Xi has reportedly asked Juncker and German Chancellor Angela Merkel to join him during a meeting with French President Emmanuel Macron planned for Tuesday. Meanwhile, to commemorate China's first colonial anchor in continental Europe, during a press conference with Italian President Sergio Mattarella on Friday, Xi said "both countries should strengthen cooperation in infrastructure, ports and logistics, maritime transportation and other areas, so that the great potential can be realized." Among the 30 or so agreements signed were two port management deals between China Communications Construction and the ports of Trieste, situated in the northern Adriatic Sea, and Genoa, Italy’s biggest seaport. 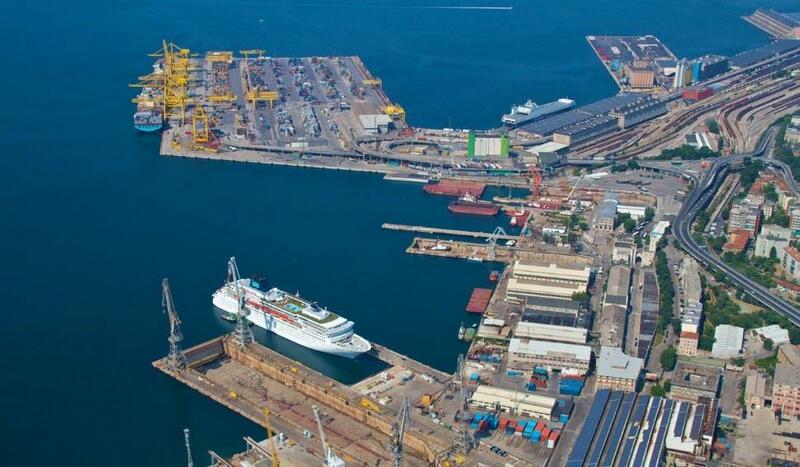 While Genoa is a long-established port, Trieste has the most potential for China, Italian government sources earlier told the South China Morning Post. The port is strategically important for China because it offers a link from the Mediterranean to landlocked countries such as Austria, Hungary, the Czech Republic, Slovakia and Serbia, all of which are markets Beijing hopes to reach through its belt and road programme. The Adriatic Sea port of Trieste is strategically critical for China. According to SCMP, other deals signed cover areas including satellites, e-commerce, agriculture, beef and pork imports, media, culture, banking, natural gas and steel. The two countries also agreed to boost cooperation on innovation and science, increase bilateral trade and set up a finance ministers’ dialogue mechanism. 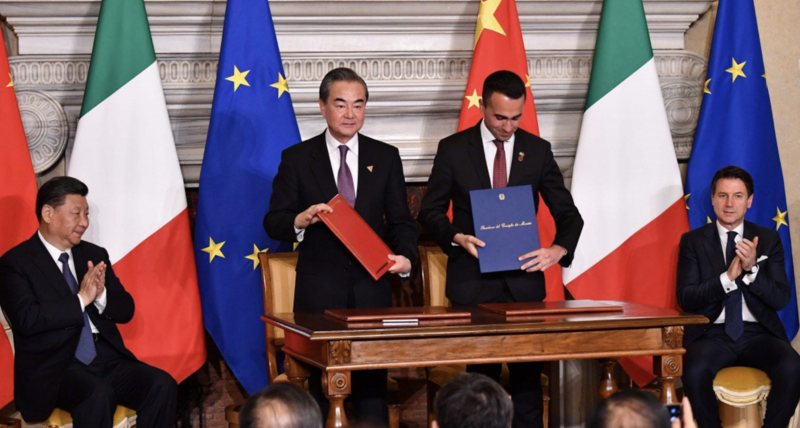 After the signing, Chinese media celebrated Italy's "pragmatic" decision, and predicted that it wouldn't be the last western power to side with Beijing. Though Italy is directly defying Washington's warnings about the 'national security threat' endemic to doing business with Chinese state-backed companies, with Italy's economy mired in recession, and the outlook for growth dim, Beijing has offered Rome's ruling populists something that Brussels and the West haven't been willing, or able, to offer: An unprecedented economic boon, as we explained earlier today. Now, the question is, just how hard the US and Brussels will recoil at Italy's ruling populists for allowing Beijing to claim a critical stake in the heart of Europe's continent.